What do you get when you mix a group of children with too much cake, junk food, candy and party games? A recipe for overtired, cranky, and overstimulated children. 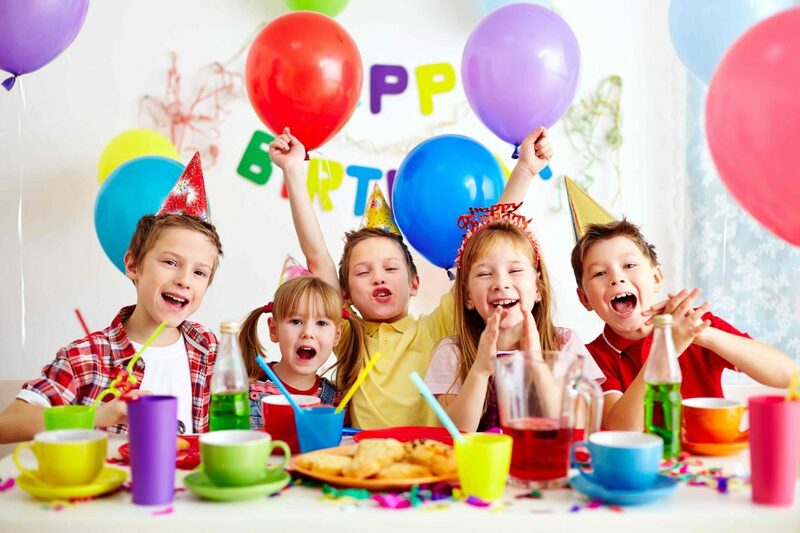 The excitement of a birthday party can be enough to trigger emotional behaviour in children. The tradition of eating pizza and cake, followed by presents and games just doesn’t make sense anymore. Children are sensitive to what they eat, and because they don’t have the same emotion regulation that adults have developed, hosting a birthday party for your child could be more than you had bargained for. Below are some tips to host a kid-friendly party, that considers their health. Trust me, other parents are going to thank you! Avoid high-sugar drinks like pop and juice that can cause children to be on a sugar-high. Create a buffet of chopped strawberries, raspberries, orange slices, lemon slices, and cucumber slices to add to water. Children will be excited to make their own flavoured drinks and they can experiment with different combinations. Serving a group of children a meal that they all like can be the largest obstacle of any birthday party. It’s pretty safe to say that most children like pizza and chicken nuggets and French fries. So, rather than buying these highly processed options at the grocery store, make your own at home so you have control of the ingredients. Make individual pizzas on pita bread so each child can select the ingredients they want on their pizza. Homemade chicken fingers and baked French fries are also a fast and convenient solution. Most parents can agree that the junk that comes home in a goodie bag from a child’s birthday party is ready for the garbage. Candy, chocolates, and little plastic toys do not offer any health benefit for the child. Instead, opt for activities like painting a picture or a craft that children can take home with them in place of a goodie bag. Alternatively, have children decorate a picture frame and take a group photo and print a copy for each child to put in their picture frame. The key to a fun birthday party is to be prepared with more activities than you think you might need to fill the time of the birthday party. Create a dance party and have kids be creative in making a music video. Have a scavenger hunt where children have to work together to find clues and a prize.